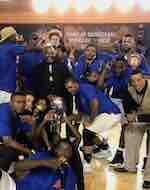 Soweto Panthers and Egoli Magic advanced into the League championship game. They earned victories in today's semifinal clashes. 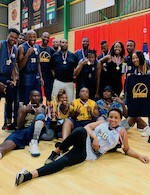 Soweto defeated Kwazulu Marlins 72:41 in the first semifinal. Dinesh Mitchell (190-G-80) recorded 18 points to lead the winners. Tatenda Maturure (G/F-98) had 14 points for the Panthers. Ben Constable replied with 9 points for the Marlins. Egoli Magic held off Tshwane Suns 79:75 to enter Final. Sibusiso Cele (175-PG) stepped up with 28 points to pace the winning team. Kagiso Ngotjana responded with 17 points for the Suns.